Do I Have a Problem With Food? This 16-page booklet answers questions and offers definitions about everything newcomers, members, professionals and the general public might want to know about OA. 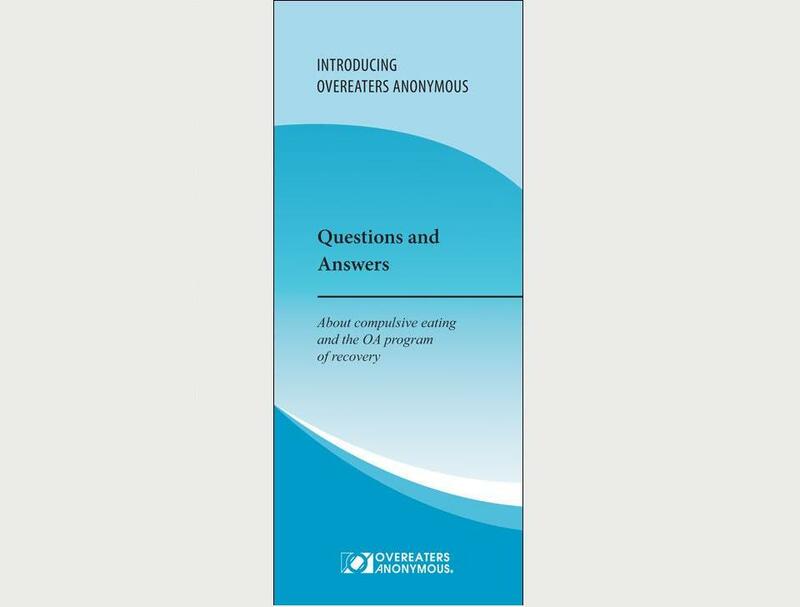 Offers experience, strength and hope for sponsors who are guiding their sponsees through the Twelve Steps of Overeaters Anonymous. Describes the disease of compulsive eating and changes in behavior or relationships that family members might experience. Offers inspiration and guidance for those who are returning after relapse.